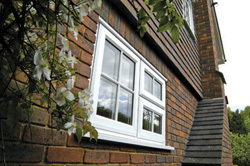 Nexus offers Warm, Safe, high quality and Stylish Windows. Windows put expression on the face of your home. It’s important that you choose designs that harmonise with its character and the aspect of your neighbours’ houses. For a modern house, white PVCu may well be the best option; it gives you maximum flexibility in your choice of detail colours, curtains and so on, and an occasional rinse with warm soapy water will keep it looking fresh for many, many years. With Nexus Sculptor you can combine traditional elegance with the most modern look. For older properties, or new properties built with old-world character, pure white may be too stark. The ideal would be fine timber – but without the maintenance! NatureGrain is a state of the art wood effect that faithfully reproduces the knots, shakes and cathedrals of the finest seasoned timber. Unlike many wood-effect frames, NatureGrain is three-dimensional – it even feels real – and we take the care to ensure that the grain direction follows the timber line for maximum realism. You can choose from golden Country Oak, or the deep cherry tones of Warm Rosewood. With NatureGrain Colours you can opt for the opulence of perfectly painted wood. A painted finish, complemented by the texture of the underlying wood grain, NatureGrain Colours are startlingly realistic. Available in a range of elegant, traditional shades, NatureGrain Colours give you the flexibility of colour with the proven durability of PVCu. 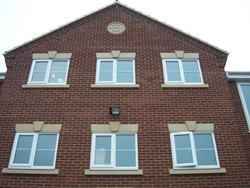 One of the most compelling reasons for choosing the latest PVCu windows is to gain the energy efficiency and sound insulation of the latest technologies. Our windows are made using 28mm sealed glass units, set into frames that are designed with computer-optimised thermal chambers. It’s generally accepted that the best performing frames are built using a three-chambered construction. These chambers provide insulation to reduce heat and sound transfer, keeping you cool in summer, warm in winter, and quiet all the year round. All our windows are internally beaded – meaning that the glass can be removed only from inside the room – and even then, special tools are required. Toughened safety glass can be installed in vulnerable areas such as entrances, giving resistance to breakage and not producing jagged edges, and you have the option of choosing laminated glazing for the ultimate resistance and security. Laminated glass is held together with a security film which holds the glass together in one piece even when shattered. Safety glass is used as standard where required at no extra cost. 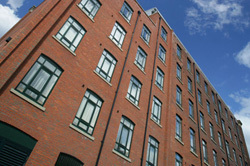 We build our windows using high quality specially designed TSL locking mechanisms. Both sides of the frame are secured, as we fit anti-jemmy hinges as standard. It would be a determined burglar indeed who managed to beat our standard security systems. 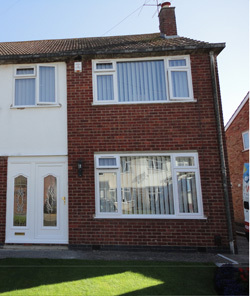 If you have vulnerable areas such as this, we can provide you with police-approved Secured By Design windows. Secured By Design is an assessment and approval scheme instigated by the police to identify products that provide the ultimate in security. Inevitably there’s a small premium to pay, but the price difference is negligible, bearing in mind that it maybe only for your most vulnerable access points that you’ll need the extra security.